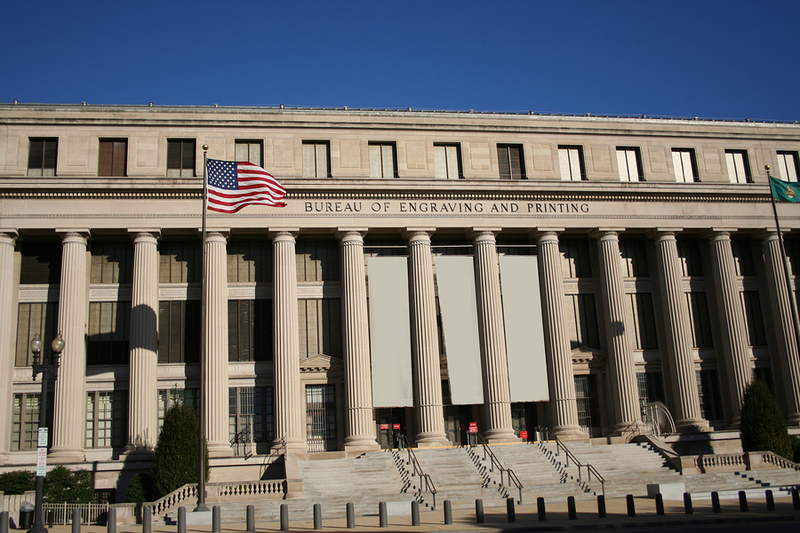 The Bureau of Engraving and Printing, or BEP for short, is nestled in the heart of Washington DC and is a wonderful tourist attraction. Deep in the city, this building controls and prints Federal Reserve money as well as controlling the flow and worth of the US Dollar. This institution might seem unassuming, but it actually serves as one of the most important buildings in the city. The BEP came about in a time of great need, when the Civil War was taking a serious toll on the funds of the nation. They began to print paper notes, which are now commonplace, but at that time they were a brand new invention. These allowed the government to basically defer the cost of the war as they passed out what were essentially IOUs. The bills were printed with a statement that entitled the bearer of the notes to trade them for coins after such a time, as the government had the funds to pay them. The BEP was not officially instated as a government body until 1874, but the need for such a body was being felt by the government. Until then, these Demand Notes that the government had been ordering were being printed by private businesses. They had taken over the printing of stamps, postal orders, money and even passports by the late 1800s. Their functions have changed through the decade that has followed, but they are hugely responsible for the dollar exchange. One of the most common questions that they hear is ‘Why don’t you just print more cash?’ But this would degrade the worth of the currency and could potentially devalue the nation as a whole. They must regulate the retiring of notes and the destruction of fraudulent ones to ensure that there is an even flow in circulation. Currently, they’re also more involved than ever with the tracking and sourcing of counterfeit money. As far back as the Civil War, there have been those who would fake Demand Notes, and this is still the case today. Though the means of production of these notes has become more intricate and harder to copy, there are still fraud notes in circulation. The Treasurer and the BEP work together to create more ways to find these items and to prevent them from ever being accepted. Serial numbers and watermarking have been used to great effect and countries around the world are implementing similar systems. If you’d like to tour this facility, then do so with us to learn all about the life of a dollar. These guided tours show patrons around the building and with our Hop on Hop off tours, you can do so at your leisure. Money is one of the most interesting things about civilization, as it goes against human nature to trade things of worth for paper. The way that the dollar has become part of our infrastructure is hugely exciting, so take the time to learn about the system at the BEP.